Dynamite Entertainment: Putting a little fun back into the comic book game. Comic Books. It's an industry where the publishers are often greedy and the fans are often blinded, but despite those flaws it has it's bright spots. 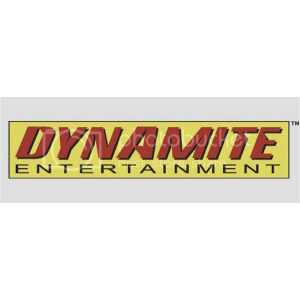 One bright spot that I would like to highlight today would be a young publisher known as Dynamite Entertainment, a smaller press company that has really shined over the course of the past 4+ years. When I first caught wind of Dynamite it was when I fell deeply in love with a line of books under their Project Superpowers banner, it was a project where they brought many golden age heroes and villains out of obscurity and back into the limelight. 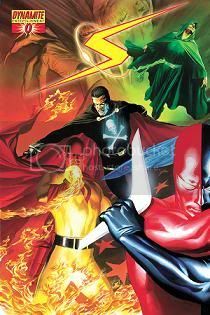 Many of these heroes have been lost to father time and have fallen into the public domain where basically anyone could publish them however they wanted, but Dynamite Entertainment and the legendary Alex Ross had a plan and brought them back in a huge way alongside great success. Through these books I saw some advertisements for other characters that have been around for ages but have been used inconsistently in recent years, Dynamite was planning to publish stories based on classic characters such as The Phantom and Green Hornet. Now, these two characters I've never cared about in the least despite being a comic book reader for the better part of 20 years, but I felt compelled to try them out because I trusted Dynamite after seeing what they could do with classic heroes from the golden age of comics. And gosh, I was surprised at just how good these books really were. 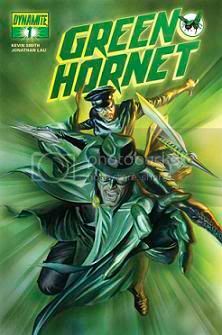 The Green Hornet dragged me in with intense art by Jonathan Lau and a deep script by Kevin Smith that was clever, fun, and truly remarkable as the son of Britt Reid donned the Green Hornet mask and set out to protect Century City from scum and villainy. I loved Dynamite's take on the Phantom also, he too was the son of the original Phantom and took up the mantle after his family was slaughtered deep within the jungle in which they lived. 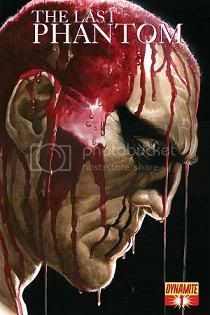 The Phantom was targeted by a rich weapons dealer from the United States and was able to overcome adversity to find some self closure over the loss of his family, it was a fun read and a truly epic tale. But I really want to focus for a moment on something that many publishers have forgotten about throughout the years, and that's the fact that comics are meant to be fun. There is something about Dynamite Entertainment that reminds me of a time when comic books carried a special feeling, you know, when going to the comic book store to purchase a comic was something special. Along with The Green Hornet and The Phantom, Dynamite has introduced me to characters that have been around for decades that I never would have thought to give a moment of my time, but yet I did. Books such as Flash Gordon: Zeitgeist, Lord of the Jungle (Tarzan), Warlord of Mars (John Carter), The Bionic Man, and Vampirella, have all become titles in which I can't wait to read each and every month. It's funny too because 5 years ago if you would have told me I was going to faithfully read a comic book based on Tarzan, Flash Gordon, or the 6 Million Dollar Man I would've no doubt laughed at you can called you silly, but man.....these books are just downright fantastic. Let's take Lord of the Jungle for starters, in this book they strip Tarzan down to his bare essentials and bring him back to his savage ways as he rips through insane wildlife while finding ways to sexually harass Jane. It's a hoot. Flash Gordon is another book that offers an epic where he is engaged in warfare with Ming The Merciless in space and a Nazi army on Earth, the action scenes in this book shine with fabulous art that has made for a must read book month in and month out. 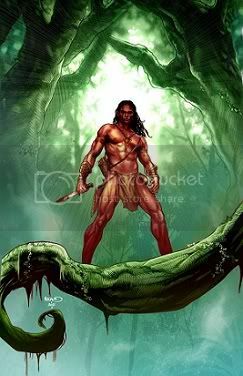 Warlord of Mars is an epic tale in itself, it's about the legendary John Carter character and how he ended up on Mars fighting alongside and against Tars Tarkis as well as his romantic feelings toward the sultry Dejah Thoris. This books is a sci-fi space epic that loves being a sci-fi space epic, I love the spin-off's that have come out of this book as well (Dejah Thoris, Warriors of Mars, Fall of Barsoom, Dejah and the White Apes) and would recommend them to anyone looking for a great story starring classic characters that have been in existence for almost 100 years now. Even with all of the amazing comic books I've mentioned so far, by far and away my favorite comics on store shelves these days has been the Kirby: Genesis line of comics that Dynamite has been producing. 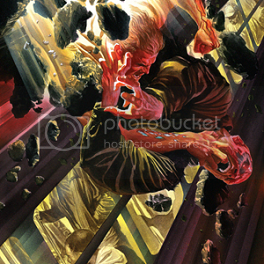 The core title, Kirby: Genesis is written by the Legendary Kurt Busiek and illustrated by Jack Herbert and Alex Ross, it's been one hell of a ride that has spun off three solo books to date. 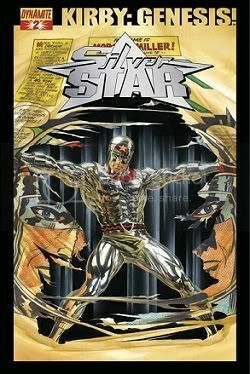 Those spin-off books happen to be Silver Star, Captain Victory, and Dragonsbane, and all three books have been highly enjoyable and help to flesh out the universe and establish the characters within their own time line that happens before the events in the core Genesis book. 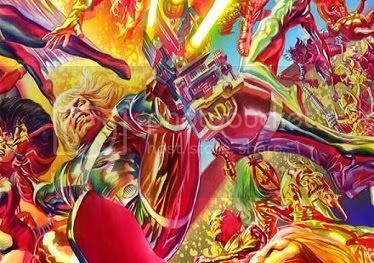 What Dynamite and it's creators have set out to do is to bring some of Jack Kirby's legendary characters and place them into their own universe to build upon the richness of the legendary creators ideas, they're using both characters that have been used prior alongside characters that have never seen life past the cutting room floor to do this. And let me tell you something......it's been one hell of a ride! Apparently the Genesis line of books will be coming to an end soon and according to Dynamite's president the universe will be relaunched again in 2013 with a whole new outline as well as new titles in a “rebirth”style event, so fans of those books as well as new fans have something neat to look forward to. Both the rebirth of the Genesis titles and Chapter 3 of Project Superpowers in 2013 should prove to be a huge year for Dynamite Entertainment and it's superhero books, I can't wait to see the day where I walk into a comic book shop to see Kirby's greatest creations sitting on the new arrivals shelf next to the greatest heroes of the golden age with Project Superpowers. It will be quite the experience. 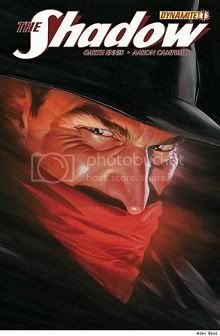 More fun stuff on the way from this amazing publisher would fall within the Pulp realm with The Spider hitting in about a months time from this writing, it will be great to see Green Hornet, The Shadow, and The Spider ruling the roost in the world of Pulp heroes under the Dynamite banner. I know the president of the company, Nick Barrucci, recently made mention to a possible crossover in 2013 between many of the Pulp characters they publish, and everyone already knows that Ron Marz has signed on to write a crossover between many of the female characters Dynamite publishes in an even called, The Prophecy. So that should be fun. At the end of the day comic books are supposed to be fun, characters are supposed to be enjoyable, and stories are supposed to be easy to engage, and luckily this is something that Dynamite Entertainment has been able to do in spades. I urge those who haven't given these books a chance yet to do so, you are really missing out on something fresh and something fun, why let Marvel drain you of your money so you can read the same old crap year in and year out, give something new a try for a change and I promise you that you won't walk away from DE empty handed. Of all the great books they publish there has got to be something in the mix that draws you in, whether it's Voltron, A Game of Thrones, Eye of the Storm, Red Sonja, Jennifer Blood, or any of the other 20+ books offered from this amazing publisher I'm sure you will have fun flipping through the pages and discovering new comics. I know I did. As always I want to thank those who took the time to read my blog, it's much appreciated and you can always check me out at www.twitter.com/manga4life as well as TZ and CBR.